As a number of bills that could impact the tourism and hospitality industry have and will continue to emerge in the coming weeks. Your association will be very closely monitoring them, as they are posted and engaging as necessary. 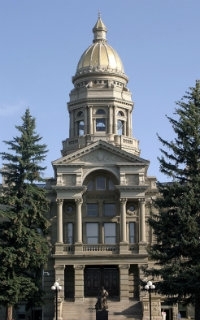 The following list is comprised of the bills currently listed, related to hospitality and tourism in Wyoming. There will be many more bills listed in the coming weeks. This list will be updated weekly. Please watch the WTIC legislative update every Monday for additions and up to date information on the legislative priorities of the hospitality industry. Status-will be heard in House Minerals, Business and Economic Development Committee on Monday, January 14.